Carefully selected luxury artisan chocolates paired with a fine bottle of Merlot to send the very best of chocolaty Christmas wishes! Exclusively made by Yorkshire Valley Chocolates, a remarkable chocolate experience to tantalise all taste-buds. 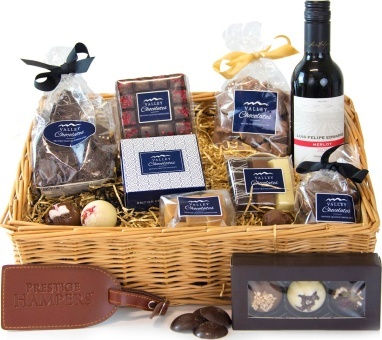 An exclusive chocolate basket by Yorkshire brand, Valley Chocolates.